Duration : 2 hour 41 mins. 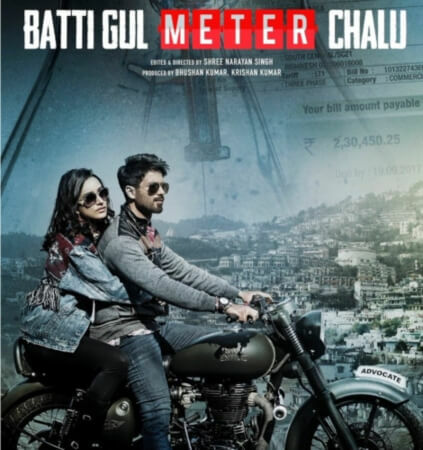 Event Description : MOVIE "Batti Gul Meter Chalu" in Hindi. Cast : Shahid Kapoor, Shraddha Kapoor, Divyendu Sharma, Yami Gautam etc.